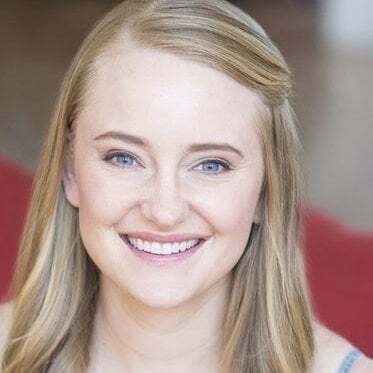 The phrase “social media” was introduced for a reason: any social media platform, including Instagram, is about making and growing connections with other people. Instagram is perfect for building a community, whether for social purposes or Instagram marketing. And, when building that community, it’s critical you know how to tag people in your posts. First we’ll start with the basics: How to tag someone when you are creating a new Instagram post. Begin by opening your Instagram account. 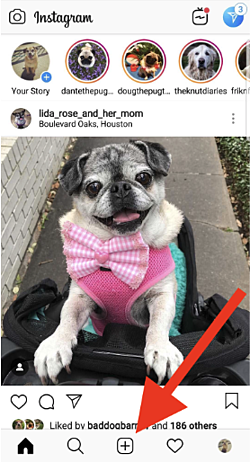 Create a new post by clicking the “+” symbol in the bottom center of your screen. More Instagram tips: Do more than share pictures; learn how to post on Instagram and create posts that perform. To upload a picture or video: In the menu under the picture, make sure “gallery” is selected. Then, swipe up to scroll through your gallery, and tap on the picture you want to post. 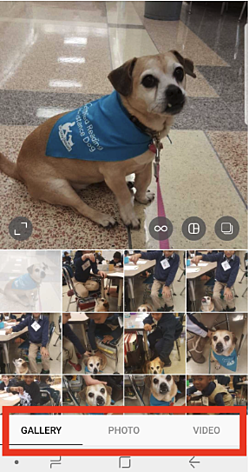 To take a new picture or video: Tap on the word “photo” to take a still image or (you guessed it!) “video” to record a video. Once you have selected your photo, click the word “Next” in the upper-right corner. 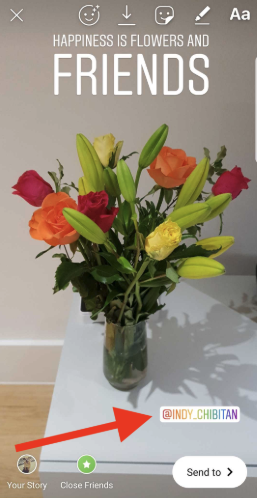 Your photo will now appear on a new screen. Tap where you want the tag to appear. For example, if you’re posting a picture of a group of friends, tap on a friend’s face to tag them. In addition to friends and family, you can tag any brand who has an Instagram account. In this case, I am tagging an organization, so I am placing my tag where the company’s logo appears in the picture. 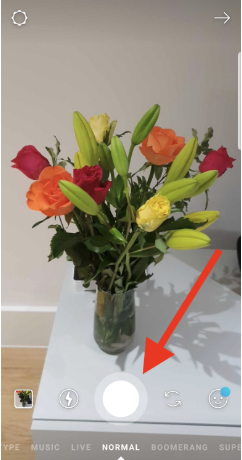 After tapping on the photo, the words “Who’s this” will appear where you’ve placed the tag. 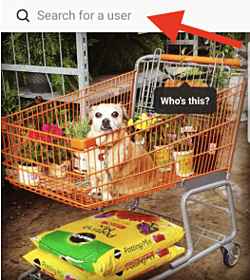 In the search bar at the top of your screen, search for the individual’s Instagram username. Pro tip: Before you start tagging your Instagram photo, it’s helpful to know the correct spelling of the username. The person’s username could appear automatically in the drop-down menu, or you may need to hit “enter” to see the search results. Once you see the correct username, tap on it. Follow steps five-to-seven again to tag more people in your post. Once you’ve tagged someone (or multiple people) in your photo, save your changes. On your Share screen, the “Tag People” row will display the usernames of anyone you have tagged. 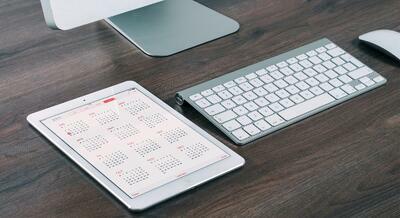 Now all that’s left to do is hit the “Share” button and officially publish your post! In August 2016, Instagram launched Instagram Stories, a social media experience similar to Snapchat with stories that appear on your profile and expire after 24 hours. 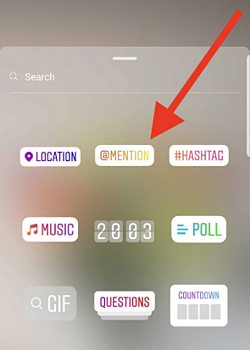 Here’s how to tag people on Instagram stories. From this screen, create an Instagram story by swiping right. 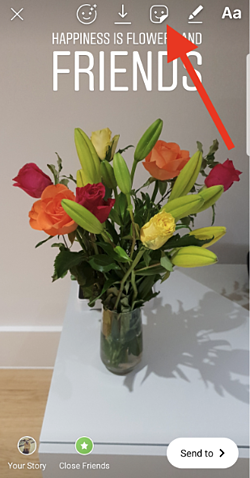 Use the white button in the center of the screen to take a picture, or hold it down to take a video. Swipe up to upload a picture or video from your camera roll. Add any filters, text, or other effects. Then, to tag another Instagram user, tap the Instagram stickers icon. 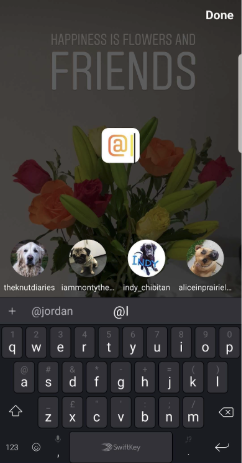 You’ll now see options for custom Instagram story stickers. 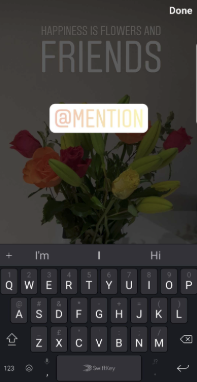 Tap the one that says “@mention.” This is how you will mention, or tag, another user in your Instagram story. Begin typing the username of the person you want to tag. 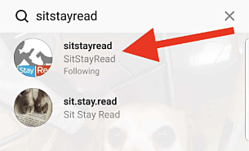 As you do, Instagram will suggest friends who have usernames with the letters you are typing. When the person you want to tag appears, tap on their profile picture. 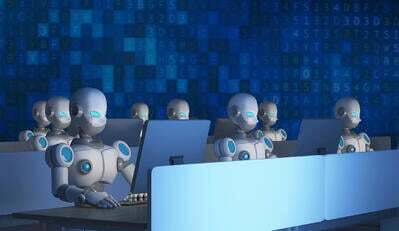 Their full username will then appear on your screen. 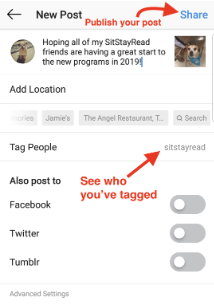 You have now tagged someone Instagram in your story. Before publishing, you may want to edit the sticker tag. To change the tag color: Tap the sticker; each time you do it will change colors. To resize the sticker: Use your forefinger and thumb in a pinching motion to make it smaller. Move your fingers in the opposite direction to make it bigger. To move the tag: Tap the sticker and, without releasing your finger, drag it to the desired location. 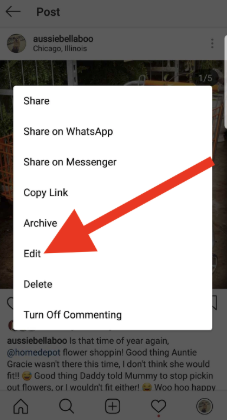 Now all that’s left to do is add the post to your story. 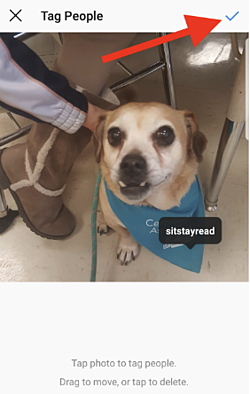 Tap the “Your story” button in the lower-left corner to share with all of your followers, or “Close friends” to share your story with your share with story your Instagram close friends. 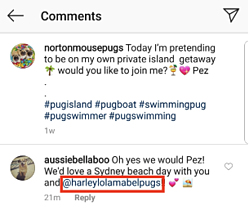 In addition to tagging, you can also mention fellow Instagram users in the comments. Technically, however, this is a mention, not a tag. 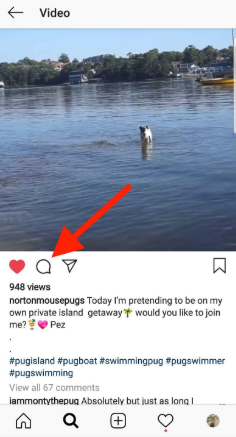 You can do mention people in comments on your own post, or on anyone’s post that has comments enabled, which most do. 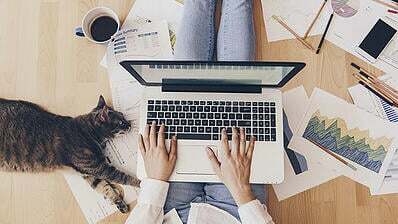 Mentioning someone in a comment is a great way to share a post with a friend or co-worker to ensure it gets their attention. Now let’s walk through that step-by-step process with pictures. Start typing your comment in the box that appears. When you are ready to tag, or mention, another user, type the @ symbol. 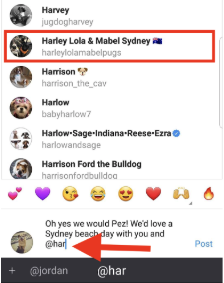 Once you’ve posted your comment, it will be available for anyone who follows that account to see. People who have been mentioned in comments always appear in blue; just like hyperlinks on a website. And, just like a landing page, you can click on that blue username to view that account’s Instagram profile. If you publish an Instagram post and realized you forgot to tag someone (or you tagged the wrong person -- #oops! ), it’s easy to edit your post and add that tag. Here you can see these instructions with pictures to walk you through the process. Begin by navigating to the post you want to add a tag to. Then, click the three dots in the upper-right corner. Tap anywhere on the photo to place your tag. Then, in the search bar, start typing the username of the friend, family member, or business you are tagging. 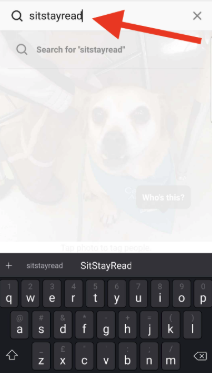 Tap on the person’s Instagram username when it appears. 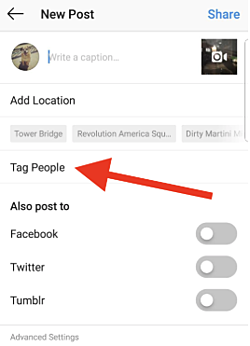 If you would like to tag multiple people, continue tapping new places to tag people on your photo. Once you have successfully added your tag, in the upper-right corner click “✓” if you have an Android or “done” if you have an iPhone. You will then be taken back to the “edit info” page. In the lower-left corner, you’ll see how many people you have tagged in your photo. 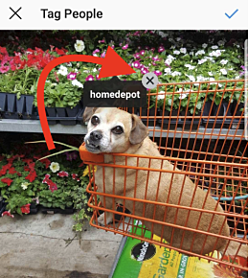 Save your new Instagram tags by once again tapping “✓” or “done” in the upper right corner. Your updated tags are now published. In addition to adding tags to published posts, you can use the “edit info” screen to mention people in your post’s description. To tag a product on Instagram, you must have an account that is approved for Instagram shopping. 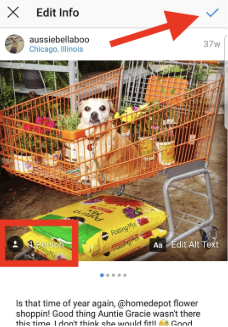 Once your business account is approved for shopping, under “Settings” you will find the option for “Shopping.” From there, tap “Continue.” Now, select and upload the product catalog you want connected with your Instagram account. Once your account has been approved as a business profile, and you’ve uploaded your product catalog, follow these instructions to tag a product. Tap “Tag products” from the Share screen. Start typing the name of the product. Tap the product as it appears in the search bar. 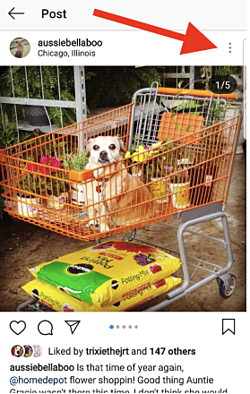 E-Commerce software with Instagram integrations can help you set up these Instagram shopping features. 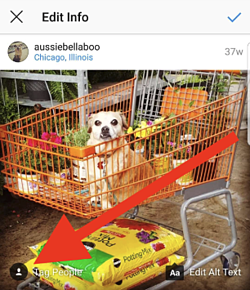 Now that you know the four ways to tag people on Instagram, it’s time to dig a little deeper into some commonly asked questions about Instagram tags. How many people can you tag on Instagram? You can tag a maximum of 20 people in an Instagram post. 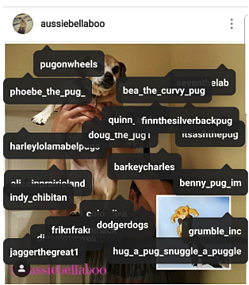 And, as you can see here, those 20 tags fill up a photo quite quickly! 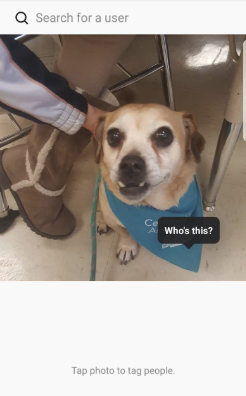 Where can I see pictures I have been tagged in? 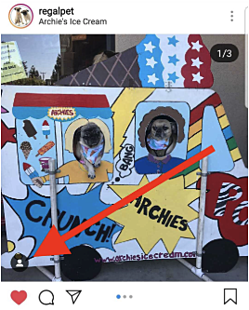 Go to your Instagram profile and tap on the third icon with the outline of a person. Here you will see all of the pictures other Instagram users have tagged you in. 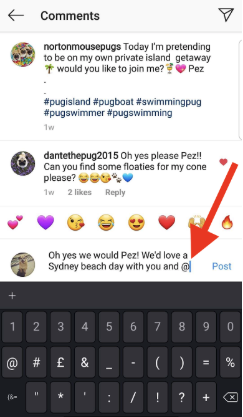 How do I tag someone on an Instagram video? Add tags to your Instagram video the same way you do in a photo. 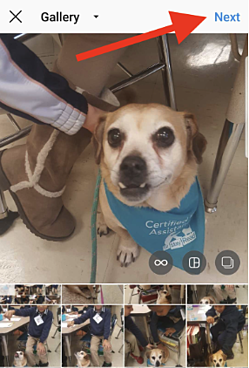 Take a video or upload one from your gallery, crop or add filters, then hit “next” and you’ll see the Instagram Share screen. From here, tap “Tag people” and search for the Instagram accounts you want to tag. 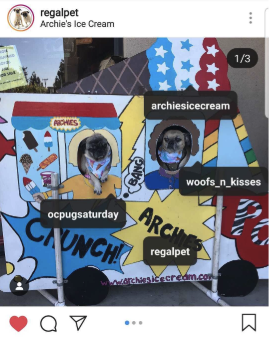 Can I delete Instagram tags? As long as it’s a post on your own profile, you can delete an Instagram tag. Can I tag someone on another person’s post? No. Unlike Facebook, you can only tag your own Instagram pictures and videos. You can, however, mention someone in the comments of another person’s post. 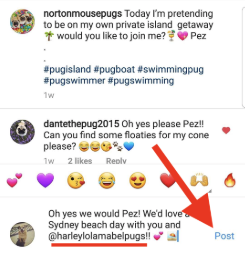 When you mention a friend in a comment, he or she will not see the post unless it is on a public account, or it is a private account they follow. 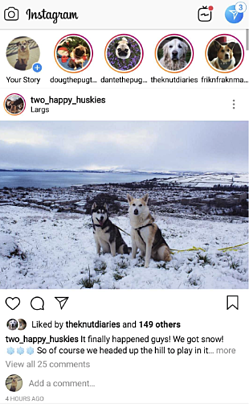 How can I see people tagged in someone else’s photo? 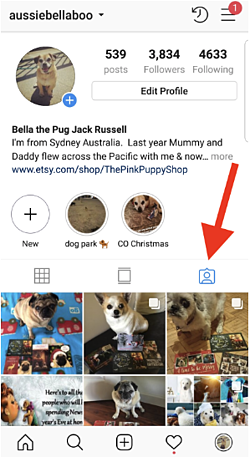 If people have been tagged in an Instagram photo, you’ll see a small black circle with a profile picture on the lower-left corner of the post. Now that you know how to tag people on Instagram, it’s time to put that knowledge to use! 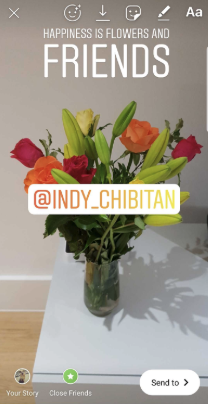 Do more than tag friends; grow you social media community by tagging businesses who are in your post, friends you want to participate in Instagram challenges and competitions, or customers who are using your product.